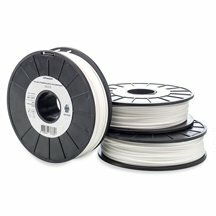 Ultimaker flexible TPU filament has been created by the brand for flexible prints, always with no need for adjustment, everything is pre-programmed for easy and intuitive use of the flexible TPU filament. This TPU filament spool enables printing on Ultimaker machines perfect flexible filament for 3D printers. For your purchase of Ultimaker flexible TPU filament, choose the brand's filament to achieve the best possible results without any fear of missing a print. Guaranteed lowest price and secure purchase. To purchase the Ultimaker TPU flexible filament, please talk to our technicians.